This refreshing drink mix is infused with essential beauty nutrients that work together to strengthen hair, skin, & nails, hydrate the skin, and provide antioxidant power against environmental damage. 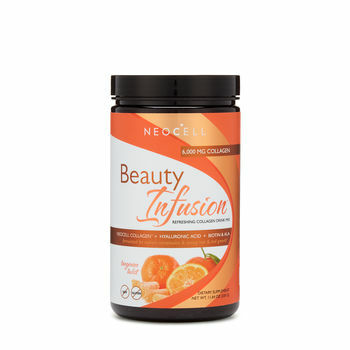 Dissolve one scoop of NeoCell Beauty Infusion™ powder into a glass of water or non-dairy drink of choice. For optimum absorption, take on an empty stomach. Natural Fruit Juice Powder, Guar Gum, Sweet Yara Blend (Proprietary Blend of Erythritol and Stevia Leaf Extract), Natural Flavoring. 80/22 Mymensing Road, Nurjehan Tower, Bangla Motor, Dhaka-1000, Bangladesh.